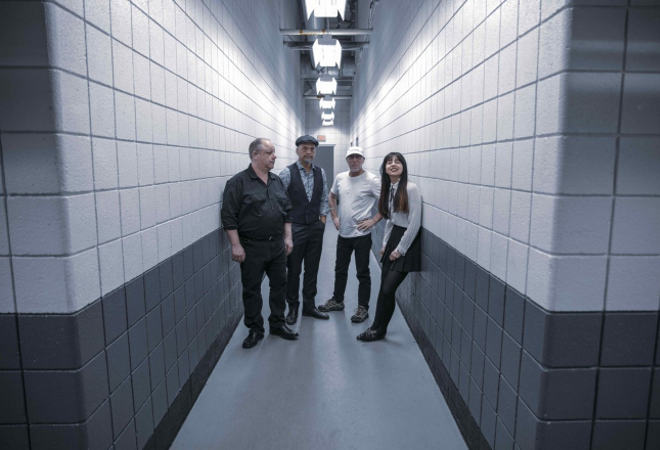 Pixies will be hitting the road on a 2019-2020 World Tour, kicking off this September with 33 dates scheduled across 16 European countries. The pioneering alt rockers will head out on what will be their first European tour in two years in support of their brand new studio album. They will rehearse and prepare to play in the region of 90 songs from across their back catalogue alongside tracks from their new release. Pixies’ upcoming release, which has yet to be given a title, was recorded last December at Dreamland Recordings near Woodstock, NY with producer Tom Dalgety. It will be the band’s second album since naming Paz Lenchantin as permanent bassist as well as their eighth overall studio recording. Pixies are Black Francis on rhythm guitar and vocals, Joey Santiago on guitar, David Lovering on drums and Paz Lenchantin on bass. After five genre-defining studio albums, Pixies disbanded in 1993. They launched their reunion tour in April 2004, playing to sell-out crowds across the globe for 15 years. Founding bassist Kim Deal left the band in 2013. Since reuniting, Pixies have released two studio albums including 2014’s Indie Cindy and 2016’s Head Carrier.